STS Technical Services is now hiring Quality Specialists in Virginia, Minnesota. Approximately 75% of the new hire’s time will be spent either in the field or in the shop inspecting mechanical and weldments for compliance with the Komatsu Manufacturing Operating Procedures. The remaining time will be spent in the office documentation paperwork and gauge calibrations. You will be responsible for all quality related processes and aspects for the Iron Range region, this encompasses coverage for approximately $45M-$100M of revenue annually. Most Common Destinations: Customer sites in the Virginia, MN area and Milwaukee, WI (corporate). Coach Welders and Mechanics on proper Manufacturing Operating Procedures (MOP). Monitoring processes and techniques. Drive for improvements to reduce cost and improve quality. Quality Inspections as required. Required signed and documented Deviation (by Regional Management) to anything that does not meet our MOP. Use the Pre-work inspection to define the works scope. Then, verify work meets our MOP standard. Ensure established MOPs are followed including preheat, weld profile and weld size. 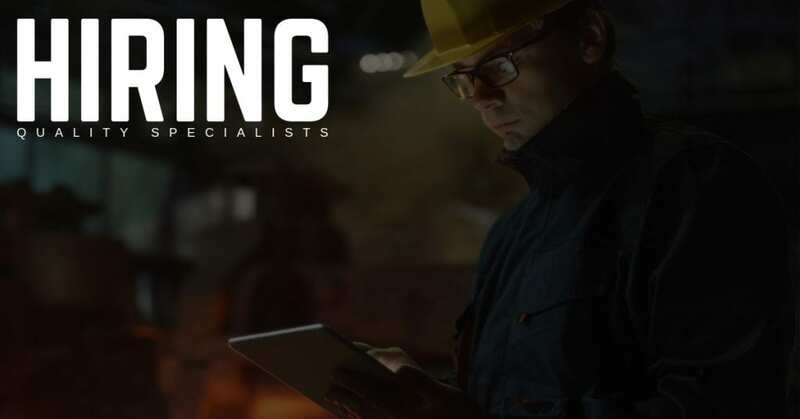 Prepare and provide technical training relating to welding repairs, techniques, procedures, processes for client regions for the supervisors and welders. Ensure equipment (ie. Weld equipment) and gauging is calibrated, documented and accurate. Go to the field to discuss quality issues with customers. Facilitate the quality and corrective actions with components that are out of tolerance and require corrective actions. Quality management review with staff and employees as required. Document Operational Improvement initiatives and support the annual audits. Engineering degree (preferred) but could be substituted for several years of experience.